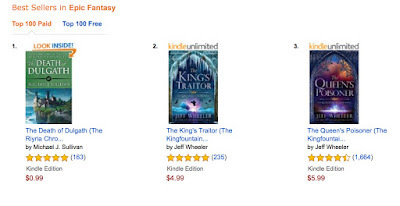 Death of Dulgath hits #1 on Amazon's Epic Fantasy Best Seller's List. Wow, I'm thrilled that so many people are taking part in my belated birthday sale. I "think" this is the first time this book hit the #1 spot, but I'll have to look back through my records. In any case, I'm thrilled that it hit #1 now. And don't forget if you buy the e-book you can get the audio version for just $1.99. So you can have both copies for less than $3. Not a bad deal. The discounted audio has no time limit, but to get in on the $0.99 sale for the e-book, pick up your $0.99 copy before the end of the day tomorrow. Belated birthday gift - for you, rather than me. I recently turned double nickels, and I wanted to give a little gift to my readers. Unfortunately, Del Rey and Orbit control the pricing on most of my e-books, and it's not always easy to get them to reduce the price. 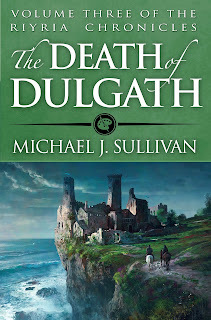 Luckily I have a copy that I control, so for the next two days I've lowered The Death of Dulgath from it's normal price of $9.99 to just $0.99. I would have made it free, but since the book isn't enrolled in Amazon Select, $0.99 is the lowest I can go. Now, the good thing about this book, is that although it is the third in the series, it's written as a standalone. 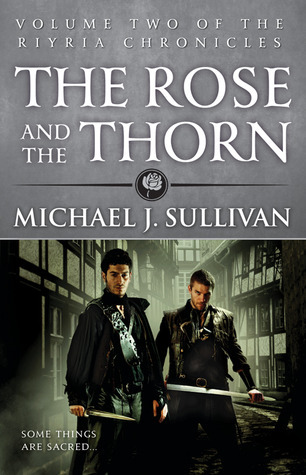 So even if you haven't read the other books, you can jump right into the adventures of Royce and Hadrian with this one. Oh, and one more thing I should mention. This book is also WhisperSync enabled. If you aren't familiar with it, it's a really cool program. Second, you can get the the audio book at a SUBSTANTIAL discount, if you purchase the ebook first. So pick up Death of Dulgath for this incredible price and get the audio as well. After hearing Tim Gerard Reynold's amazing narration. You'l be glad you did! Thanks everyone for your continued support. And I hope you'll take me up on this little reverse birthday gift - or gift a copy to a friend so we can all celebrate! 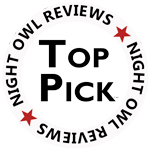 In the past, I've not posted book reviews on my site. There are several reasons for this. First, I don't think it's an area that I'm particularly good at, and second, I don't want to field the inevitable flood of review requests that come with opening that particular Pandora's box. All that said, I do run across authors from time to time that I think are worth mentioning, and I would like to do what I can to bring readers and authors together. So here I am trying to shine a bit of a spotlight on someone you might not have heard about before. But first a bit of a preamble. I decided many years ago that I wouldn’t post negative book reviews. I’m not a critic, and I don’t want to be one. It’s not my job to steer readers away from "awful books," particularly when I feel that the evaluation of any art form is a subjective one. Also, I’ve felt the sting of being on the receiving end of negatives reviews (although thankfully, they've been just a trickle rather than a deluge), and I don't want to inflict similar pain on others. So why not just review books I love? Well, many of the books I read are written by already famous authors who don’t need me. Sales of The Fault in Our Stars by John Green are already astronomical and any mention from me won't move the needle. Ernest Cline, author of Ready Player One has Steven Spielberg directing his movie. And Andy Weir, of The Martian fame, has no idea who I am nor should he, even though we met briefly this summer. So when a book is already well known and well loved, my comments would be a drop of water in the ocean. Okay, well what about the books you love from lesser known authors? Well, that's something worth dipping a toe into, so here I am. But let me start with a disclaimer. One of the things I found I sacrificed when learning to write is my ability to enjoy most novels. Training myself to find fault in my own writing is something I can’t easily turn off when reading for pleasure. Most often all I see are missed opportunities. These days it’s a struggle to find a book I can finish. Now I’m not declaring that all those unfinished books are horrible. Many of those I put down are major bestsellers, so clearly I am in the minority. What I've discovered is I have specific preferences and the books I enjoy have managed to thread a very narrow needle. So while a recommendation for me might not mean it will appeal to all people, it SHOULD appeal to people who enjoy my work, since I write the kind of books I want to read. Which brings me to Amy Braun. Full disclosure: I don't know Amy. I’ve never met her. She didn't send me her book. She didn't ask me to write a review, and has no idea (until now, should she read this) that I have even read anything by her. No one else asked me to read it either. In short, there are no strings attached. I hate strings. 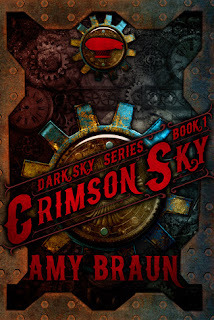 I was, in fact, attracted by the cover of Crimson Sky. 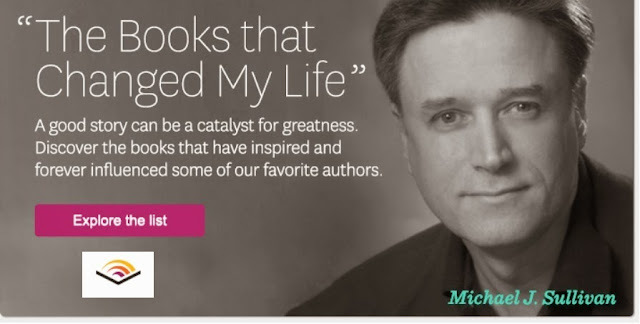 That’s what made me click on the “inside the book” feature on Amazon. Then I was impressed by the writing style. The first page is a challenge for everyone, and Amy's opening was filled with the nice crisp, clean, clear quality that I appreciate. She brought me right into the story with an action scene that wasn't a tease (and as it turns out was indicative of the book as a whole). Nor was the opening a mass of fast-paced, emotionless confusion, which is too often the case with opening action scenes. All of this led me from reading the free teaser to buying the book. What made me keep reading after that was the creativity and logic that went into the world and characters. The details were surprising, (I loved the bit about sugar), and the pace rapid. The characters were not perfect, but they were sympathetic. The world was dark, but not without hope. I was delighted to find a novel I could read with only minor jolts to my inner editor. Of course, I find fault with any novel, even my favorites. Crimson Sky is no different. It isn’t perfect, but I haven’t found a book that is. I’m sure if you read it you will discover aspects you don’t like, and others you do. But honestly, how can anyone not applaud the audacity of mashing up extra-dimensional vampires and pirates in a post apocalyptic world where engineers are wizards, and the main character wears a key but has no idea what it unlocks or starts. Unlike Green, Cline, and Weir, Amy Braun doesn’t have a major motion picture, and judging from her Amazon numbers, she isn’t being read by nearly as many people as she deserves. So while I’m not a critic, and don’t plan to become one, I do want to offer her my thumbs up. 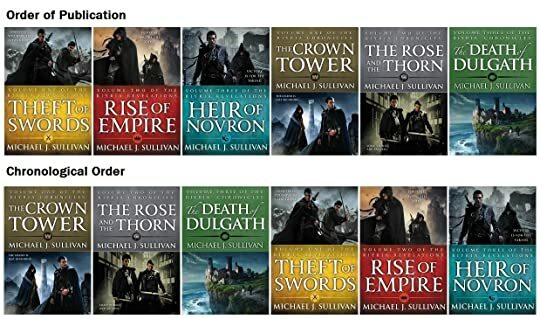 If you think you might like an action-packed, fast-paced, swashbuckling adventure that is light on graphic violence and profanity, and has a dash of steampunk and a sprinkling of romance, I know a book series you might enjoy. And it'll cost you less than $3 on Amazon (US) That's about the same price as the iced tea I have for lunch yesterday, and Amy's book was even more thirst quenching.